The Suggested Immobilization Test (SIT) was developed as an objective diagnostic tool to quantify motor restlessness periodic limb movements during wakefulness (PLMW) associated with Restless Legs Syndrome (RLS). Limited research has explored the relationship between discomfort and pain associated with motor activity in RLS during the SIT. 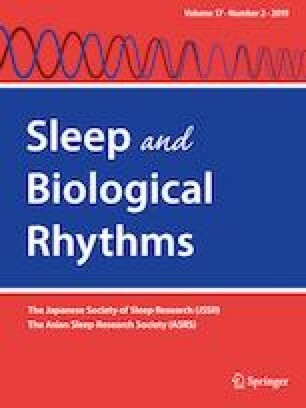 Twenty-five RLS patients and ten control participants completed the International Restless Legs Syndrome Study Group Severity Scale and the SIT with bilateral recordings of tibialis anterior EMG (PLMW index), as well as pain and discomfort visual analogue scales every 5 min for the 60-min SIT. The discomfort score had the ability to discriminate between RLS and control participants (P = 0.0001); however, the PLMW index did not (P = 0.67). The RLS patients also exhibited greater discomfort and pain in the latter half of the SIT (P < 0.05) compared to the initial phase of the SIT and compared to controls. Despite rating significant levels of discomfort, the majority of the RLS patients did not exhibit PLMW possibly suggesting a disconnect between the sensory and motor components of RLS. These sensory and motor features may be independent and as such presentation of PLMW during the SIT may not be a reliable objective measure of RLS. Funding provided by the University of the Witwatersrand Medical Faculty Research Endowment fund. Many thanks to Raffaele Ferri for his statistical suggestions. The authors have nothing to disclose related to the content of this manuscript. Ethical clearance (clearance number M070452) was obtained from the University of the Witwatersrand Human Research Ethics Committee and participants signed a written informed consent form.